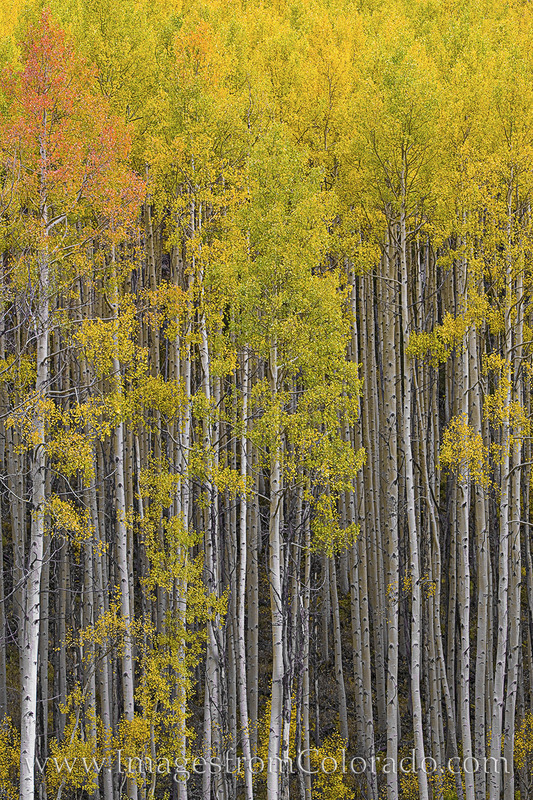 Near Maroon Lake in the Maroon Bells Wilderness, this golden aspen grove shimmered in the cool Autumn air. On the trail leading to Crater Lake, a mountainside of aspen like this filled the slopes with golden color, just as they do each fall. Photo © copyright by Rob Greebon.